You are here: Home / Product Reviews / Babies & Kids / VTech Kidizoom Smartwatch DX: New and Improved, It’s Faster, Smarter and So Much Fun! 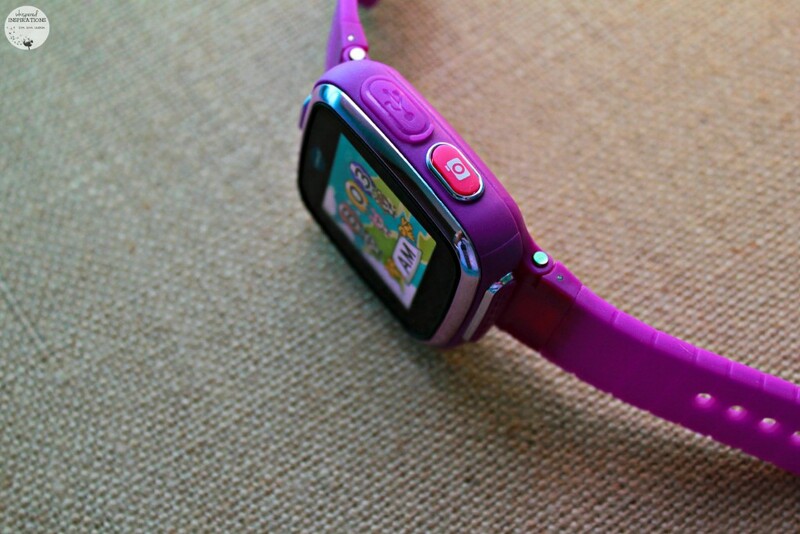 VTech Kidizoom Smartwatch DX: New and Improved, It’s Faster, Smarter and So Much Fun! My kids are obsessed with technology. While I limit their screen time, I absolutely support and adore toys that are not only fun but, educational. Especially with all of our wearable tech that we have in this day and age, it’s no wonder that kids have their own epic tech. 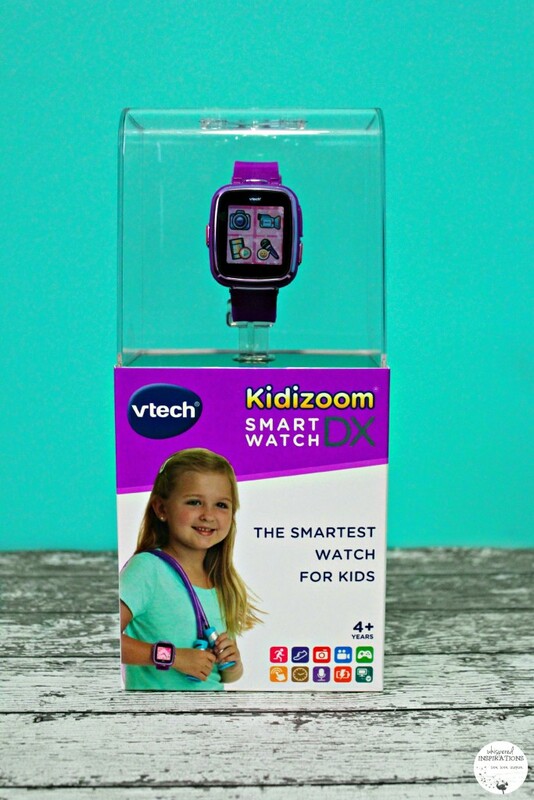 You may have seen my review of the VTech Kidizoom Smart Watch not too long ago but, this new and improved watch is even smarter and even more fun! It still has some of the same features like a rechargeable battery and splash proof capability. 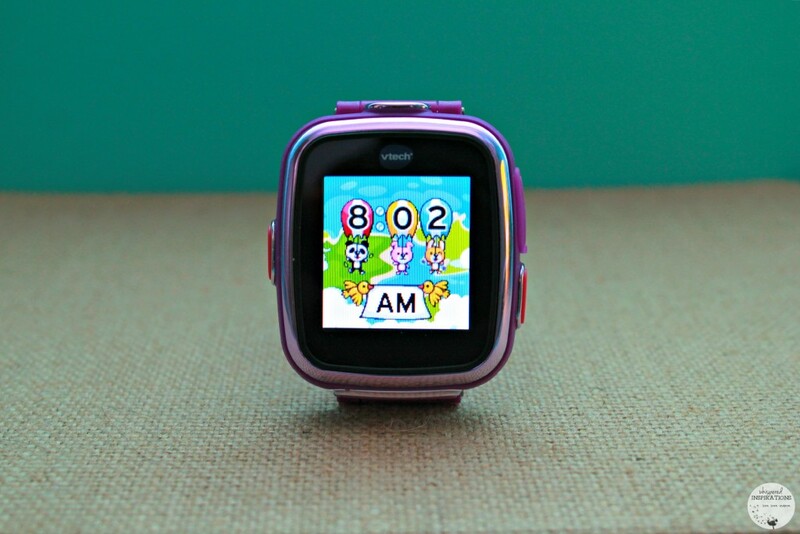 The VTech Kidizoom Smartwatch DX has lots of fun games and activities! It is perfect for budding photographers and it comes with more memory so kids can take tons of pictures and videos. I know that Mimi absolutely loves to take pictures and vids and when she wasn’t playing games, she was snapping away. Sometimes capturing the not-so flattering shots of yours truly. The built-in camera comes with creative photo effects, frames and filters. The quality is pretty darn good and while it isn’t super crisp, it is perfect for little photographers to capture the world around them. Mimi is absolutely loving her new watch. She especially likes using the new motion sensor to explore three action challenges! The Smartwatch DX also includes eight games she can play using the touch screen as well as the ability to download more from Learning Lodge®. There are plenty to choose from and they are all so much fun. We love Tic Tac Toe which is incredibly easy to play and then there is Finger Dance and Jumping Egg that are sure to keep your little one busy. This is a huge plus for us because she is learning basic math and she loves to practice. The alarm helps her to be responsible since she sets her alarm every morning for school and the stopwatch helps her to time her tasks. Mimi has enjoyed playing with her watch so much that she even asks me if she can play with it for a bit before she goes to bed. While she takes selfies and plays her games, she eventually falls asleep. I love that it is thin enough for her to wear comfortably and if she does fall asleep with it, it won’t hurt her arm and I can sneak in and take it off. 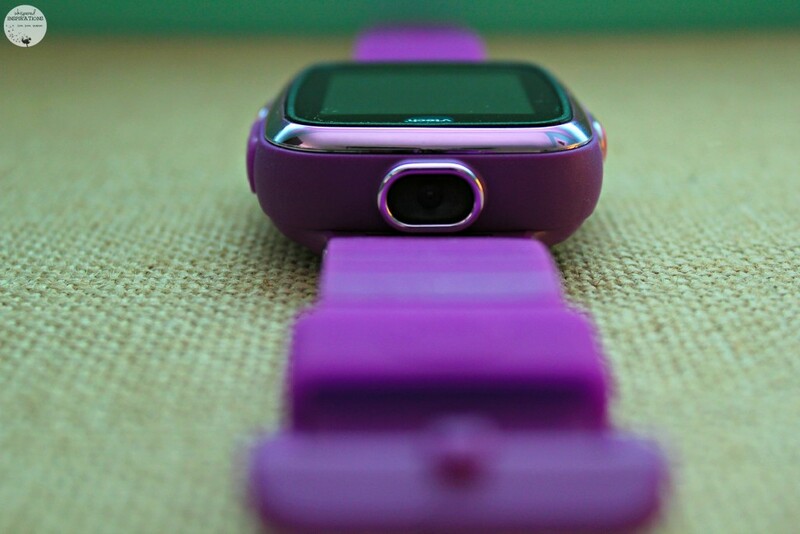 There’s no denying that wearable tech is only getting better and better. 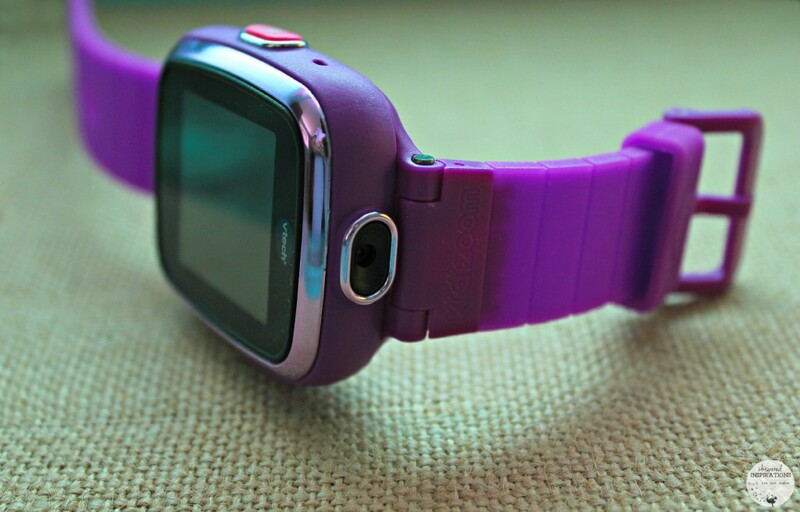 The VTech Kidizoom Smartwatch, is no exception. It makes a great and affordable gift for the budding photographer, techie or game whiz in your life. 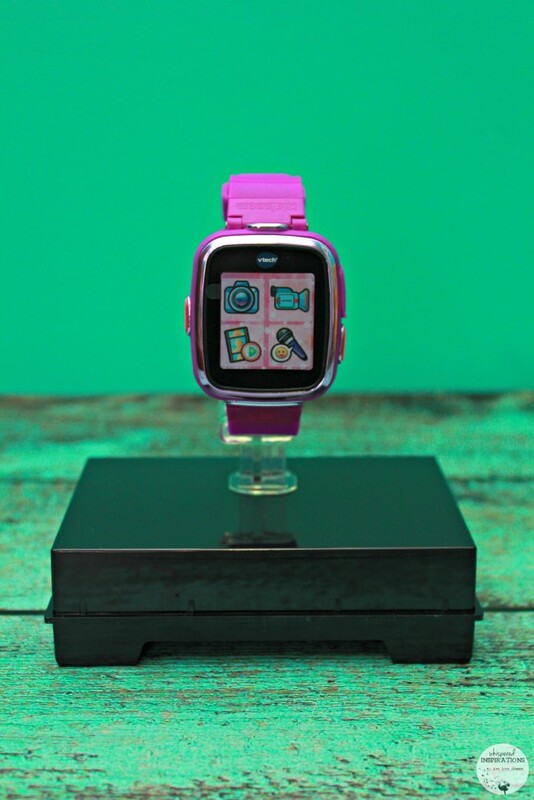 You can purchase this VTech Kidizoom Smartwatch DX for $69.99 and it is for ages 4-9. It is available in Vivid Violet and Midnight Blue. For more information about this VTech Kidizoom Smartwatch DX or other VTech toys, head over to www.VTechkids.ca and check them out. You can connect with them on Facebook, Twitter, Instagram and YouTube. Which feature do you think the child in your life would like the most? That is wicked cool! My boys would get the biggest kick out of that. My kiddo would probably like the games the best he loves any an all games. He is a little older now, but this would a dream gift for just about any kid. The games are so much fun, I have not heard any complaints. What a fun watch!! I love that V Tech keeps coming out with new products that kids love and even help them be more active! I'm SO happy to see this. I bought 3 of them for 3 of my 6 kiddos, and am really excited for them to get them on Christmas. They asked for them for a while so I was glad to finally grab them! Aww, that is awesome. I hope they love them. Love VTech products, they are so educational and fun for kids. My daughter would love this! I love that they are educational. I just love this. My son would have enjoyed a watch like this when he was a bit younger. My son would have a ball with this. Although I'm afraid he'd lose it within a few days. He somehow has the ability to lose just about anything. Maybe when he gets a little older it will be a great gift for him because I know he'd love it. I was afraid about that too but, my DD has not lost it yet! This sounds like such a fun kids watch! It's pretty awesome that it has a camera and fun games and apps! They have lots of great apps! This would be great for my friends little girl. She would love to be able to take photos with it. It takes pretty decent ones too! I like the look of this smartwatch. I don't know any kid who wouldn't like one. What a great Christmas gift idea. I have to agree, their eyes just light up! That would be a great gift for my nephew. He loves gadgets and technology… this would be fun for him to have something of his own to learn and play with. I am sure he would love it! vtech makes some good kids toys. Glad to see they have a new smartwatch that kids might really like. This is a new and improved one! Whoa, this looks great! Definitely going to check this out for the holiday season. These is really cute and cool. My niece would love this for sure. I want this. Perfect gift for little girls. I think it is a great gift too! What a great tool for kids! My kids could have a lot of fun with a couple of these! Our kids love VTech! They have the new digital camera and is totally in love. VTech always has the coolest toys! I love how it has the voice recorder and camera on it. Kids love playing with those two things. Thanks for the review,i seen this on my grandson list and i was wondering what it was all about. It is a great gadget for kids! I need to get one of those for my son! I think he would love it! This looks like an amazing gift for any kid this Christmas. It just amazes that they could make a watch with these features at this very reasonable price point. My daughter would love having the camera and video features with her wherever she goes! My DD loves those features! I always have thought Vtech made the best electronics for kids. They always seem to nail it. They really do, this one is a hit! This watch is VERY cool. My cousin has one and is so entertained by the features of this watch and thinks she’s so cool that she has a smart watch. It really is a cool gadget for kids. Mimi takes hers wherever she goes! I like your story ! Well I wish I could have one I'm really 8. My girls had these but they had trouble figuring out how to use them. I am glad that VTech upgraded them. Hopefully, more user-friendly now. OMG, so happy! Glad he loves it. I think my grandson is just at the right age for this Smart watch,it will make a great Christmas gift..